MobileBet was founded in 2014 which makes it а relevantly new company. It is registered and licensed in the EU in the state of Malta. The Malta gambling Authority issued a license number MGA/CL1/619/2009; MGA/CL1/773/2011; MGA/CL1/964/2014; MGA/CL1/877/2013; MGA/CL1/1058/2014 and MGA/CL1/1057/2014. 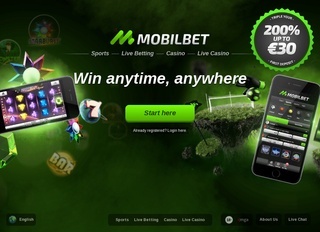 The company under which Mobilbet operates is Co-Gaming limited. Alongside the gaming the company offers to its clients online casino which is registered with an e-gaming license in Curacao. That special document was granted by the Government of Curacao and allows Co-Gaming to operate in the field of e games such as Playtech Casino, Nolimitcity Casino etc. Being a relative site to the extremely popular and successful ComeOn! The clients ‘service is with very high quality but thanks to the relevantly early registration and small popularity MobileBet does not have a lot of clients yet. However, the company has a lot of potential to become one of the serious players in the industry. 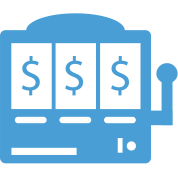 The recent statistics show that this online bookie is rapidly developing its services and market offering, which is clearly a good sign. Description of all sports for bets as well as casino, games, poker. Description of the opportunities for live betting, live streaming for sports events, if the bookmaker supports this option. As a related company to a much bigger online bookie, Mobilbet deliver big variety of booking options on different sports such as Football, Basketball, American Football, Tennis, Golf and many others. Alongside the sports bookings, the website offers casino and live casino. Here each client can pick his/her favorite game choosing from Black Jack, Roulette, Table games, Video Poker etc. As with every other modern and well respected sports betting website, this company offers live betting on football, basketball, tennis, baseball etc. It allows its clients to pick from all odds available in for this sort of betting situation. Live streaming isn’t an option except for the cases when the bookmaker organizes special events like the one boxing matches with one hand. However, the website offers live scores and statistic in real time. On one hand that can be even more beneficial for the clients as it allows many matches to be followed in the very same time and each bettor can see and understand only the useful and significant information such as injuries, top scorers etc. In this case the betting options include 1×2, Asian Handicap, OU, next team to score, gg/ng ,DNB, total goals, draw no bet, both teams to score, next one minute, next five minutes, double chance, exact score and many others. According to the website of the online betting company they offer all available options for the moment. The company offers betting in different formats – UK odds, decimal odds and American odds. These options allow each client to pick different currencies and amount of money. That is why the minimum bet is €0,40 or the exact equivalent in different currency. The maximum bets vary. They can hardly be reached not only because they are high but also because they depend on the sport and the specific stake type the bettors want to make. The biggest award which the online bookmaker offers is €100,000 but it strongly depends on the event which means that not every time such amount of money will be put on the table. There is one special characteristic of that company which offers online bets. Here the clients can bet on politics and results from elections. From the online bet company do their best to secure the transactions and to secure the safety of their clients money once they are received. That is why they use the secure socket layer or SSL. That is encryption which allows each client to be as sure and calm as possible that his or he money and the transactions are secure. The company use single wallet cashier system which means that no matter which of their services do you use, your money are always with at least 128-bit encryption protection. In order to top even that, the company complies with Payment Card Industry Data security Standards. However, when a client needs to contact someone in the company that’s easy. They offer live chat and email support in several languages that are listed in our table. Via e-mail you can send your question or request 24/7 where with the live chat you can only contact the company’s represent from 12:00 to 21:00 CET. The staff is quite helpful and very polite, you will be delighted to speak with them. Deposits and Withdraws depends on the country and the bookmaker accepts the most common ways of payments – visa electron, bank transfers, Mastercard, Skrill, Dynersclub, Paysafecard etc. 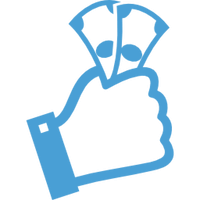 The online bookie works with different currencies that you can easily review in the table. When it comes to withdrawals, there is a minimum amount of money – 20EUR for every withdraw and depending on the picked option it may take up to one week for the client to take his/her money back. MobileBet offers two types of bonuses and promotions. Deposit bonus which comes right after the deposit is made. Sport bonus is 10 EUR free bet, which means betting 10 EUR you will receive the same amount as a free bet. There is also a Casino bonus which is 100% bonus on your first deposit up to 25 EUR. On the other hand each client in the Mobilbet casino can accumulate points during his games and these points can later be transferred into money.